Stephen K. Ray is the author of several books, including Crossing the Tiber, Upon This Rock, and St. John’s Gospel: A Bible Study and Commentary. He is also the host of the popular, award-winning film series on salvation history, The Footprints of God. Raised in a devout Protestant family, Steve was once a deacon and Bible teacher in the Baptist denomination. An in-depth study of the writings of the Church Fathers played a key role in Steve and his wife Janet eventually entering the Catholic Church. His new book, co-authored with Rev R. Dennis Walters, is The Papacy: What the Pope Does and Why It Matters (Ignatius, 2018), which both describes the Pope’s unique role as leader and teacher and addresses common misconceptions and objections to the papacy. 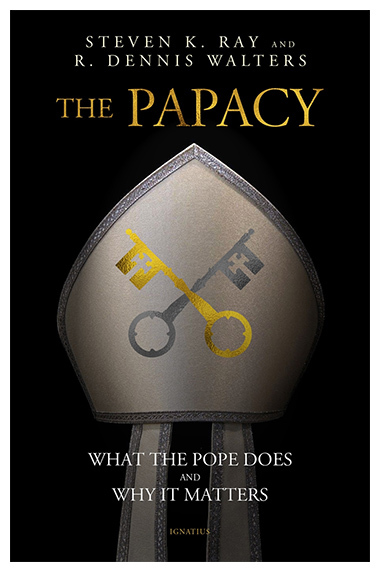 It also explains how the papacy developed, how the Pope is elected, and other important aspects of an often misunderstood and misrepresented office. Ray recently corresponded with CWR about the book. 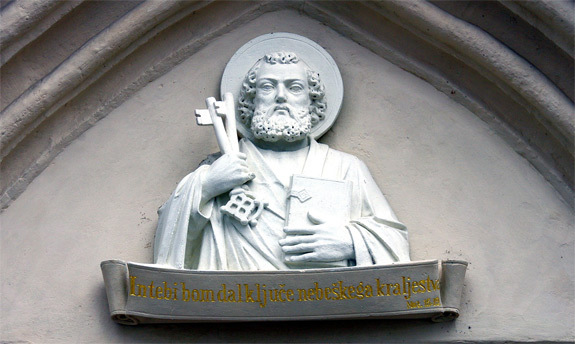 First, we began to question our basic Protestant beliefs. Our journey to understand the papacy and the fuller Catholic belief began, not with seeing anything positive about Catholicism; rather, it began with our disillusionment with our Evangelical Protestantism. The whole issue of authority was one of those problems. Second, we had a “good Evangelical” friend suddenly convert to Catholicism—and it shocked us. In response I started reading the Fathers of the Church in an effort to prove to him that he had made a big mistake; the early Christians were Protestants in their belief, right? Well, did we ever get a shock! The early Christians held to the same doctrines and authority structure that is practiced by the Catholic Church today. Using the simple analogy of a tree, it was in a sapling phase that would eventually become the full blown tree, but organically it was the same thing taught in the Catechism today. Multiple denominations with no common bond or authority also disillusioned us. God could not have meant his “church” to be divided and bickering among thousands of competing theologies and denominations. Wouldn’t he have provided some kind of shepherd, captain, head, president, or something similar to keep unity and focus? After looking at the Bible with new eyes I began to understand typology and the continuity between the two testaments, not only in the salvation story but also the way God organized and structured his covenant people. The papacy was emerging not only as a good way to do so, and one that reflected God’s dealing with the Old Testament community, but also the structure that emerged in the New Testament and through the growth of the Church. CWR: Do you find that some Catholics have flawed understandings of the nature of the papacy? If so, what are some of those? Ray: Unhappily, quite a few Catholics seem to have as many misconceptions as Protestants—but of a different sort. Ask your average Catholic what “infallibility” means and you will get as many suggestions as you do facial expressions. These range from a confident, though ignorant, answer to a puzzled face and garbled speech. A few Catholics will provide a lucid and correct answer, but that is a rare phenomenon. Very few know the biblical foundation for the office of pope, or the manner in which a pope is elected. What is his job? Can he ever be challenged or corrected? The questions keep coming. We thought it a good idea to provide a comprehensive “job description” of the pope. The book is intended as a “one stop, one shop” place to get the basic A to Z of the papacy. I think we succeeded. CWR: So, is this book meant to inform Catholics for the most part, or is it written with non-Catholics in mind? Ray: Confusion and ignorance of the papacy is not relegated to the Protestant and secular worlds alone. Other major religions and ideologies also suffer a serious lack of understanding. It is written with them in mind. But most of our readers will be Catholics, and the book was primarily written for them. Ignorance is a brutal task master and such lack of truth and understanding rapidly perpetuates itself in a web of confusion and spreading cloud of ignorance. Truth and history, clarity and evidence help blow away the confusing cloud and liberates minds that are enslaved to error and ignorance. My wife and I currently have fifteen grandchildren, with our sixteenth due in February. If nothing else, I want my own family to have a clear understanding of the biblical basis, the historical development and essential nature of the Church and its authoritative structure. I want them to be Catholic into the next generations. Faith and truth is not easy to pass on to the coming generations, but clear thinking and good books are certainly positive steps and important guides. That is a key reason we wrote this book. CWR: Did you write this book to address concerns about the current pontificate? 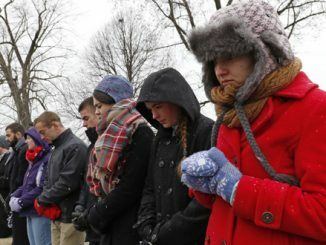 Ray: It seems clear to everyone—whether they are cheerleaders for Pope Francis or those of us who are watching and praying with some serious concerns—that things are not as we’d like them to be. There are divisions, conflicts, confusions, and uncertainty. Popes are to be a uniting and clarifying force in the Church but what we sometimes see today tends to be quite the opposite. This book, however, does not address Pope Francis or any pope in particular. It is more to provide a “job description” by which any pope current, past or future can be judged as to the success of their pontificate. When we have a clear outline of what the pope should do and why it matters, then we can ascertain a particular papacy on more than just emotion. We can be much more objective in our evaluation. It also assists us in our prayers and actions. So, this book is not specifically to address current problems with the Vatican and Pope Francis. No pope is perfect but this book gives the explanation of the job description and then each person can evaluate how well any particular pope lives up to that. CWR: Can Catholics offer criticism of a pope? If so, how so? Ray: It is a misconception that if someone disagrees with a pope they are a heretic or schismatic. It is also a failure to understand the correct conception of infallibility, as though the pope cannot say anything wrong and we are obligated to believe and obey everything he says or writes. Before we discuss the issue of criticizing or disagreeing with pope, we need to remember that the office of Peter, the office of the pope, is an institution established by Jesus Christ himself. In Matthew 16 Jesus says to Peter, whom he is appointing as the Royal Steward of his Kingdom, that Peter is the rock on which the Church will be built—meaning not only the appointment of a man, but also the establishment of an office. Every king in Israel had a royal steward who carried the keys of the kingdom to administer the kingdom as a delegated representative of the king himself. Understood with a clear knowledge of the Old Testament we see Jesus as the king delegating his keys to his royal steward. As such, we are to hold the papacy in the highest regard, with loyalty and deference. We are to have an attitude of deference and obedience. But such a loyalty to the office of the pope does not mean that we abandon our intelligence and knowledge of the truth. If we see a pope contradict the clear teaching of the Church, or to lead pastorally in the wrong direction, it does not mean we follow along blindly as with a Pied Piper. We are to always give deference to his words and actions, with an effort to see and understand them in a positive way, but if that becomes impossible then respectably disagreeing is not a sin. A classic example of this occurred when Catherine of Siena (c. 1347–1380) severely reproved Pope Gregory XI and ultimately persuaded him to return the Papacy from Avignon to Rome. “Catherine arrived at Avignon on June 18, 1376, and soon had a conference with Pope Gregory, to whom she had already written six times, ‘in an intolerably dictatorial tone, a little sweetened with expressions of her perfect Christian deference’ ” (Alban Butler, Butler’s Lives of the Saints, rev. Herbert Thurston and Donald Attwater [Allen, Tex. : Christian Classics, 1995], 2:195–96). Can anyone imagine a fourteenth-century woman reproving the Pope, especially with an “intolerably dictatorial tone”? 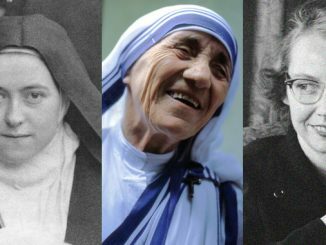 And imagine, she was not only canonized a saint, but she was declared a Doctor of the Church! So much for the Pope’s insulation from reproof and criticism. Pope Emeritus Benedict XVI also commented on the acceptability of the faithful to critique the pope in certain instances. One thing that should be remembered is that the Church also has bishops and it would certainly be correct for bishops to act with an attitude of collegiality toward the pope and to honestly discuss matters of difficulty with him without fear of reprisal and with respect for all. Lay people can also disagree but it should be done with the utmost respect and bathed in prayer. In short, no, the pope is not beyond criticism—and because of that fact and the confusion surrounding that issue, I felt it was essential to add a section on this exact topic considering the situation we find ourselves in today. CWR: What do you hope readers will gain most from this book? Ray: My hope is the people will love the Church Jesus started and continues to build. Jesus is the head of the Church, the pope is simply the successor of Peter the Royal Steward. There have been good popes and bad popes, saintly examples and scandalous, those who serve well and those who have served poorly. But they come and go and the Church marches on with Jesus as head. Ignorance of history and truth is a dangerous thing. Clarity of truth and knowledge of the the facts is liberating. May all who read this book come away with a deep love for Jesus, his Church and the office of the papacy which has served us so well for two thousand year. May it give us hope and confidence for our future. Saint Catherine of Siena is a prime example of not simply the justification but the obligation to repudiate a Pontiff’s errors. Even directly. Respect of the Office requires correction withholding based on exaggerated propriety is a disservice. Saint Athanasius of Alexandria, Saint Robert Bellarmine held that position. Stephen Ray exemplifies the providence of converts entering the Church with theological, Church history knowledge and with conviction. 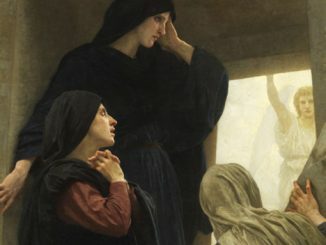 If ever the Catholic Church required the influx of ‘converts’ [better understood as newly arrived committed Catholic Christians] it is precisely at this time during this pontificate evident in the personnel manning Catholic websites writing books defending the faith they cherish much to the benefit of the rest of us. This book is now officially on my to get list for Christmas. My copy should be arriving any day. These verses seem to have a different tone than what we have in today’s Catholicism.